In order to help small and medium enterprises (SMEs) continue to operate in severe weather conditions over winter, industry experts now advise small firms to consider implementing flexible remote working systems, allowing employees to work from home. Remote working has grown to become an important element of business productivity for SMEs. With the current technology available, firms now needn’t suspend their business in severe weather, with a combination of remote technologies and common sense allowing SMEs to continue trading. Remote working can maintain productivity and reduce office costs over the winter months. Studies have found in the past that employees working away from the distractions of their desk and the surrounding office environment increased their productivity by a considerable margin. What exactly is remote working? Put simply, remote working is when people do their work at home or outside the workplace. With the current financial climate tighter than ever, businesses are always looking to bring down their running costs and remote working is one way of achieving this goal. 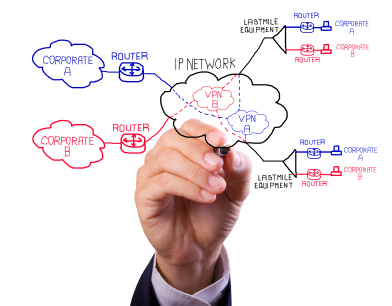 In many industries Virtual Private Networks (VPNs) are created to enable employees to login to a company network and access all the information they need to carry out their work, whether it is word documents, emails or project briefs. Remote working also enables businesses to employ and outsource work to people all over the world. Fewer office costs – with staff able to use remote and cloud computing to access emails, files and any other necessary information, SMEs can cut costs such as printing, electricity and any other staff management charges. Increased productivity and results – Instead of having to down tools and stop work on client projects, owners can allow staff to carry on their work from home. This is also an excellent employee incentive as staff can save money on travel to and from the office or studio. Greener working – remote working can dramatically reduce a businesses’ impact on the environment by reducing the number of employees that commute to the office or studio. Enhanced work-life balance – employees that are allowed to work remotely in severe weather naturally have an improved work-life balance, with the ability to spend more time with children and spouses. Reduced stress levels – taking your employees away from the cut and thrust of the office environment can reduce stress levels. Remote working in more comfortable, homely surroundings can foster greater productivity. Increased trust and responsibility – While SME owners must choose the right people to work remotely, those fortunate enough to be able to work from home will have their morale boosted by the extra trust and responsibility placed upon them by their employer. The key challenge for SMEs is to ensure employees are disciplined enough to handle the freedom of remote working. Today an increasing number of small business owners appreciate the benefits working from home can bring to their company. A contributing author for Workspace Group and anyspacedirect.co.uk. Specialises in marketing and digital media guidance for SME’s and Entrepreneurs. This is indeed an insightful post. I think with the situation of things SMEs may not just restrict remote working to only times of severe weather.. Once they see the advantages in it many will definitely go more for it. Besides, I think this is also calling on more people to consider the option of working from. The working at home option is increasingly becoming popular in today’s enterprises. Companies are opening up to this option after considering its benefits. With the help of the latest mobile technologies, a group of people can have a meeting using video conferencing while sitting at home.